The Best Shutters on the Market with Unmatched Pricing and Quality! Interior shutters are one of the most popular window treatments for homeowners in Southern California. This is because interior shutters are available in a wide variety of colors and designs and instantly add class and elegance to any room. Interior shutters are available in vinyl, poly, and wooden materials, and they are highly durable. Their simple design, ease of cleaning, and usability add to their popularity. At Creative Window Coverings, Inc. we offer an extensive range of shutter options to everyone, and our window treatments are manufactured with high-quality materials. We have a team of experienced design consultants that can create custom shutters for rooms, and create a modern and contemporary feel. We are committed to providing homeowners in Southern California with timeless and classic shutters that will add personality to any room. 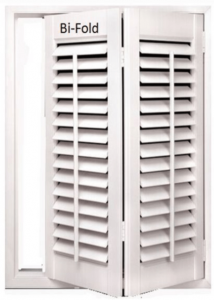 One of the best things about the Clearview shutters is that they feature a modern and simplistic design, while offering an unobstructed view. 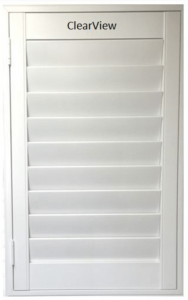 These shutters provide a traditional and classic look, while letting users easily close and open louvers through the rod. 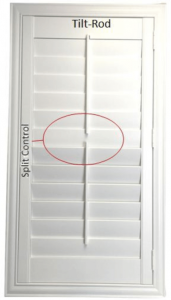 The best thing about our Tilt-Rod shutters is that they come with split control, which helps you open up sections of the shutter at a time. This means that you can have light coming in from the top, while keeping the bottom part closed. 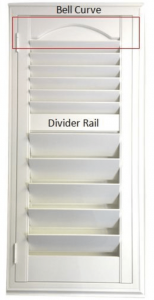 Another shutter option we have is the divider rail, which adds a touch of class and style into a room. They provide more control, are more elegant, and have additional strength and durability. We can help you add a bell curve to the shutters, which will provide them with a unique design, and attract attention. One of the most common and popular shutter options out right now is the Bi-fold shutter, which opens towards the left and right. It saves space as well, because the Bi-Fold shutter panels can be folded against one another, and therefore take less space than normal shutters. You can install them on patio doors, room separators, and closet doors.